Located in the heart of downtown Birmingham, Alabama, Highland Park Golf Course is a favorite spot among Birmingham residents and visitors! At Highland, you'll find an enticing and fun 18-hole layout, excellent course conditions, a friendly staff, reasonable rates and a golf experience unlike any other in Alabama . Highland Park Golf Course is best known for its pristine bentgrass greens that were voted "Best Greens" by Birmingham Magazine. And, it is the only golf course in Alabama that offers beautiful vistas of downtown Birmingham. 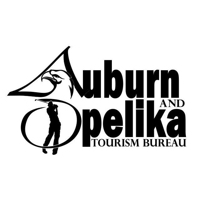 You'll also find the golf rates reasonably priced at this Alabama golf course, making for a great golf value. Please call 205-322-1902 for current rates. Call 205-322-1902 for rates and tee times. Contact Highland Park Golf Course at 205-322-1902 for more information and details on holding a golf outing at the course. Contact Highland Park Golf Course at 205-322-1902. Contact Highland Park Golf Course at 205-322-1902 for onsite or nearby dining options. This profile was last updated on 03/03/2014 and has been viewed 9,752 times.